Skinny Sheahan promised the Sun-Times two years ago that the parade would return and it looks like he’s going to make that happen. Almost a hundred supporters showed up at The Beverly Art Center last Monday night as Skinny and Bill Figel, of The Beverly Art Center, led the group through a brainstorming session dedicated to resurecting the parade with a zero tolerance policy on drinking in the streets. Pulitzer Prize winner Mark Konkol of the Sun-Times was there to cover the story, A South Side Irish Parade revival? 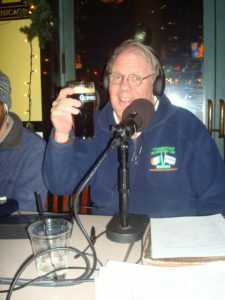 Two days, later Skinny appeared on Fox News in the morning as well as WGN Radio to promote the idea of a return of the South Side Irish St. Patrick’s Day Parade. Stay tuned to The Skinny & Houli Show between now and March for all the details and the inside scoop on this historic event, which could prove to be bigger than the day Lazarus laughed!